1. Practice map reading skills with your zoo / aquarium map. 2. Talk about biodiversity as you enter different sections of the zoo / aquarium, compare habitats. Describe the different habitats you encounter in your science journal. At the aquarium you'll see different species in the same tank, talk about ecosystems and how different species keep an ecosystem thriving. Example: clownfish and an anemone. List species that share the same enclosure. 3. Are some of the animals hard to find (camouflage)? Write down animals you had trouble finding. Why do animals blend in with their habitats? Why are some creatures brightly colored? How does this protect them? Example - poison dart frog. Did you see any vibrant creatures with unique patterns? Write down the names of the creatures with the most unique colors and patterns that you see. Draw the pattern next to the name. 4. Distinguish birds, mammals, reptiles, amphibians, insects, and fish. Write down a couple of your favorite under each category. What animals are warm blooded? Which ones are cold blooded? How do you know? Create a page with two columns and list a few under each category. Talk about nocturnal animals. Were they in a special area at the zoo? Why? List a couple of nocturnal animals on a page. 5. Predators and prey: Which animals are herbivores, carnivores, or omnivores? Create three columns on a page and list animals underneath each category. 6. At the nursery, compare baby animals to their parents. Do they look the same? Are there any animals that don't look like their parents? Record your findings in your notebook. 7. Did you see any zoo keepers feeding the animals? What did they eat? Write down the time they ate. 1. When you get home, make a food chain. Use your notebook for a reference. 2. Create a mini zoo / aquarium out of blocks, pans of water, and figurines. Collect items from nature and create your own elements to add to your zoo / aquarium to create a suitable habitat for your animals. Try to remember what the animal enclosures at the zoo included. 3. Come up with a cuisine for your favorite animal, draw it! 4. Use a globe or world map to find the locations of the animals you saw. 5. Map out the actual size of the animals on your driveway with sidewalk chalk. Look up their dimensions online. 6. Get creative - become a cartographer and make your own zoo / aquarium map! Kids choose what animals they want to include, design suitable habitat enclosures for their animals, draw recreational items for the animals (keep them entertained), and include restaurants, bathrooms, and food stands for the public. Click here for details! 7. Check out the book Life Size Zoo. Animal heads are life sized and photographs are amazing. Kids, as well as adults, will be in awe of staring at the animals face to face! In the back of the book there is a mini cartoon zoo map (shown in the image below). 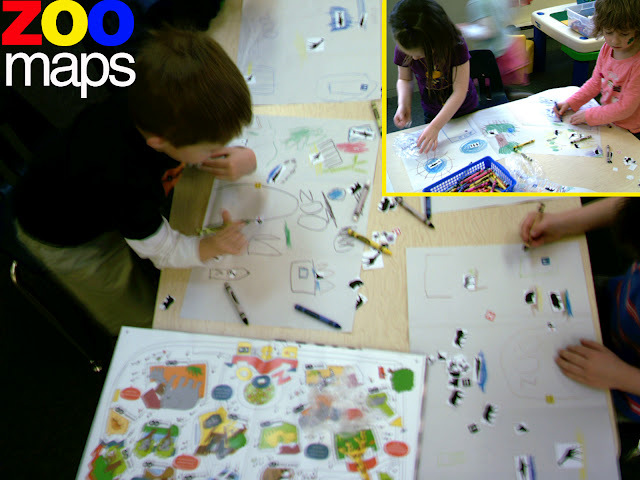 The map helps kids out in the design process for their zoo. 8. 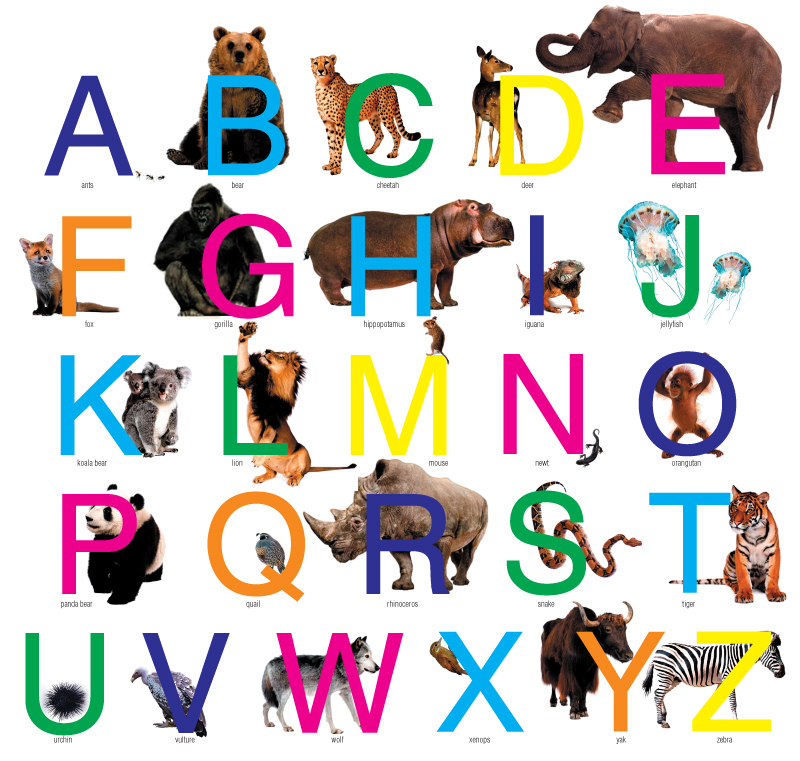 Design a zoo poster or signage. Zoo Maps - Have kids think about what sorts of animals they want in their zoo, their habitat, pathways, food stations, etc. They will have lots of fun designing their zoo (the appearance, entrance gate, and play equipment for the animals).